Loom Wiring OORacing high grade universal with many functions pre wired in. Wiring loom OORacing high grade universal with many functions pre wired in. This is our newly made loom to over come all the normal problems with new builds or poor quality wire internals. The looms are totally universal and has load of functions not found in any looms on the market. Single or 3 Phase wiring options. Warning lights, High beam, Turn L/H & R/H, Neutral. All normal bits headlight, flashers, horn, brake switch, tail light. Please note the loom will not work with the split phase gen’s NON electric start. Overall length of the loom is 110cm, down side of the heavy wiring is getting it all in the head lamp, but with the help of a hot air gun or hair dryer you can mould the wires into shape to fit in..
We have switch gear and dash kits that plug straight in to the loom with no messing about. 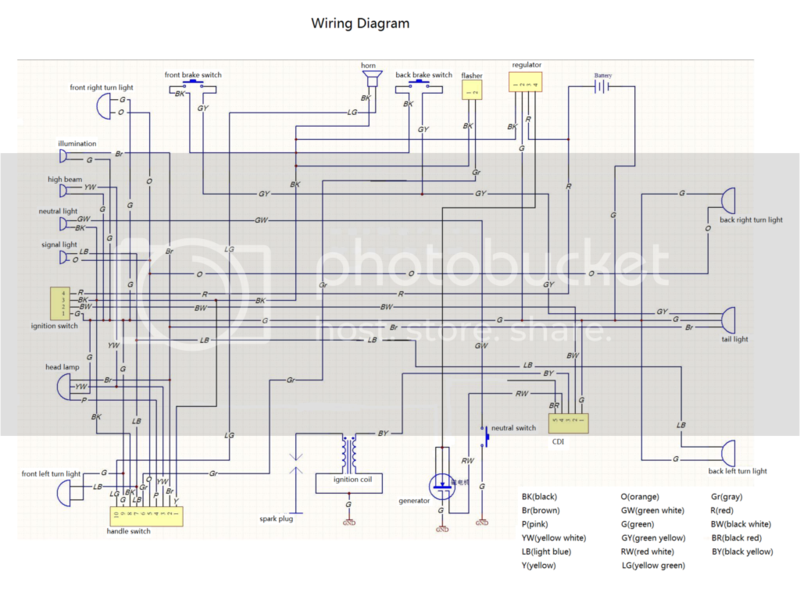 For a large version of the wiring diagram click on the image below. 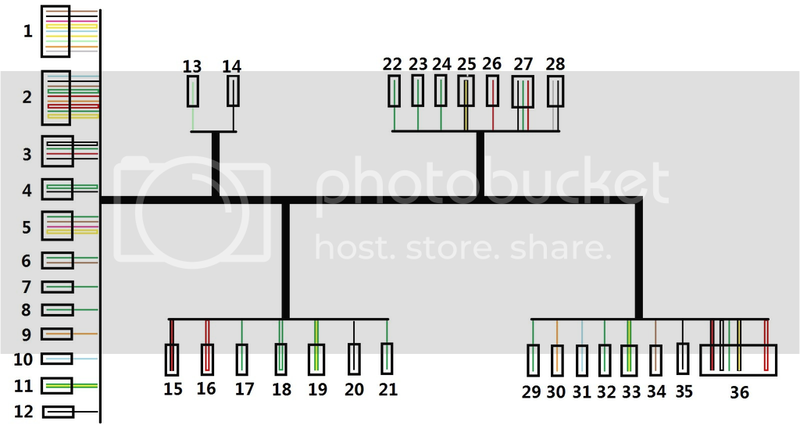 It will xfer you to our online photo storage account where you can see the diagram in all its glory.